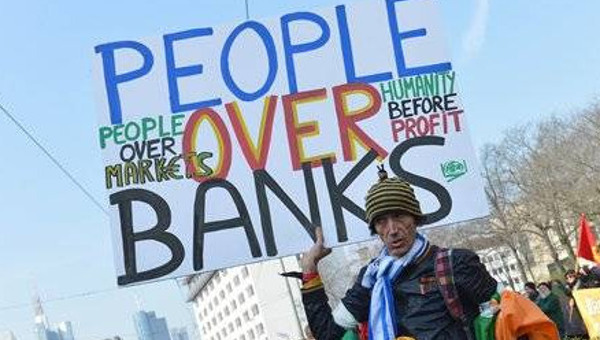 For some time now social movements have expressed their support for Another Europe. Their almost unanimous support for a “NO” vote in the Greek referendum on the proposals of the Troika, says much about the repeatedly frustrated hopes of constructing a social Europe from below. Indeed, the protests against austerity have established, ever more clearly and explicitly, that the evolution of Europe is going in the opposite direction: a Europe increasingly of (financial) markets, and more and more, a Europe in which non-democratic institutions make use of blackmail and fear to impose unpopular decisions. This diagnosis of the responsibility of the EU converges with the results of much recent research that indicates how the financial crisis has transformed into a democratic crisis of the legitimacy of EU institutions. 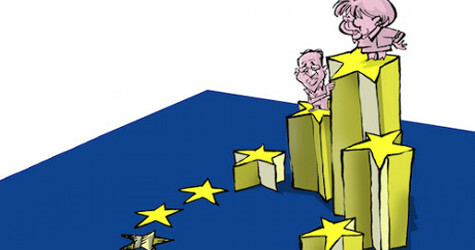 First and foremost, the crisis has been dealt with at the European level by the imposition of decisions by institutions that are ever less transparent – the EU parliament has seen its visibility reduced to the point of disappearing, while bureaucracies and informal groups (from the European Central Bank to the various economic and financial institutions) have acquired power that is scarcely under democratic control, and indeed, in some cases devoid of regulations regarding their internal operations. A closed group of decision makers, self-serving and not democratically controlled, has gradually assumed greater weight, not only at the European level, but also domestically, thus increasing the democratic deficit. 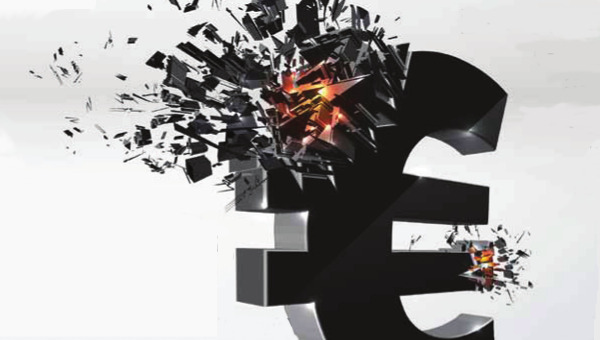 The European Central Bank, created to be independent from democratic controls, and the technocracies of ECFIN, both bound to monetarist visions, have assumed enormous power thanks to their power to decide whether to create money, and how to distribute it. Decisions taken with very little transparency were then imposed on democratically elected governments; losing their sovereignty in the process. This has occurred above all in Ireland, Portugal, Greece and Cyprus, who, in exchange for loans, were compelled to sign memorandums with very detailed directions on the austerity policies to adopt. Yet as also happened in Italy and Spain, which did not enter into extraordinary loan conditionality, were compelled into a preventative adherence to harsh measures for reductions in public spending through cuts to social welfare, deregulation of labour markets, privatizations and indirect taxes. 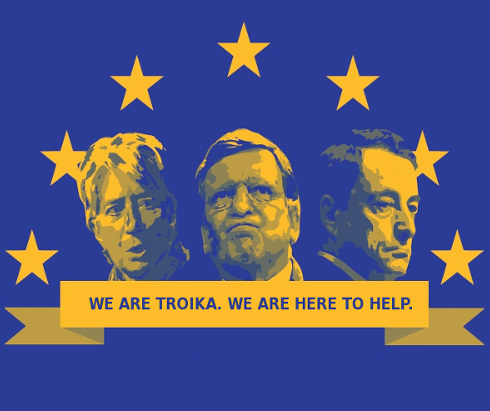 In the process of managing the crisis the EU has further restricted the democratic dialectic between government and opposition, explicitly demanding – as in Ireland and Portugal – that all the main political parties accept the austerity measures imposed on them in exchange for loans. 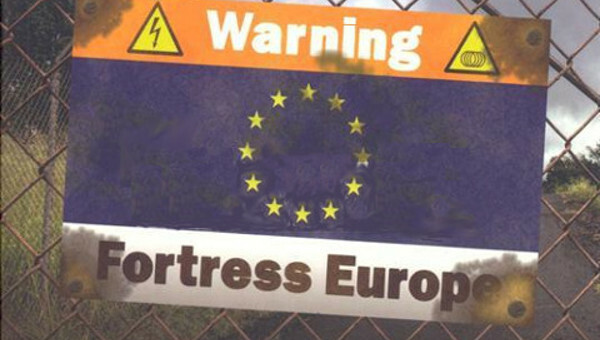 In the same vein, the EU has fostered so-called technical governments (as in Italy and Greece) supported by grand coalitions, with the effect of a deep crisis in entire party systems, incapable by now of representing their citizens and at the same time incapable of pursuing effective policies. Policies oriented toward the free market against measures for social protection have furthermore been imposed with the explicit refusal for fair negotiations between social partners. Under the threat – often exaggerated on purpose – of default, it has been demanded of trade unions that they accept policies of liberalization and deregulation, which impose market-logic in previously protected areas. When trade unions resisted, the instructions from the European institutions to national governments were to proceed without and against the representatives of workers. In this regard, the EU intervened against the might of various groups and classes, pushing for policies hostile to both workers and the middle classes. In the process, the decision making power of the European institutions extended further, from monetary to financial policies, and then on to social policies. Not by chance, the institutional transformations that emerged during the crisis, designed to greatly limit social spending in the long term, have gone in the direction of increasing the power to impose fiscal restraint, by means of audits not only on the achievement of certain parameters, but also on the methods with which they are to be achieved. This is the direction of the measures contained in the so-called Six-Pack, Fiscal Compact and Two-Pack, which greatly increased the capacities of control and implementation of the European institutions toward member states, regardless of their economic conditions or budgetary situation. In this manner, in December 2011, the Six-Pack increased the scope and power to control, as well as, the power to sanction member states, particularly if they are Eurozone members. In 2012, the Fiscal Compact imposed even more stringent measures, including the obligation of member states to discuss with the European Commission and Council every major policy reform that has potential effects on public budgets. Finally, in 2013, the Two-Pack further enhanced the capacity for monitoring and implementation, by means of, among other things, a preventative monitoring of national budgets by the EU and the Eurogroup. This article was originally published in Il Manifesto . Donatella della Porta is professor of Sociology in the Department of Political and Social Sciences at the European University Institute, where she directs the centre on Social Movement Studies.